It is an epic dumbing down of a democratic exercise called the election, in Mandya. Two film stars with absolutely no political experience, no known adherence to any political ideology and no record of social service are presenting themselves as choices before the electorate in this Lok Sabha constituency in Karnataka. One's claim to fame is that she is the widow of a filmstar-politician and the other is the son of the incumbent chief minister. 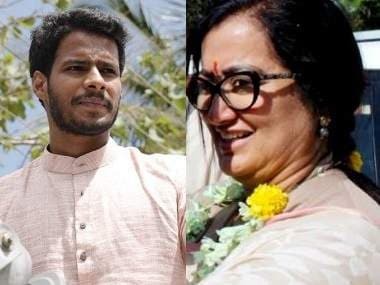 In this farce, Sumalatha, a senior multi-lingual actress herself, is contesting as an independent after being shunned by the Janata Dal (Secular)-Congress alliance which has put up Karnataka chief minister HD Kumaraswamy's actor son Nikhil Gowda as its candidate. Sumalatha seeks to cash in on the sympathy that has been generated after the death of her husband Ambareesh, a hugely popular filmstar from Mandya district. In an emotional Facebook post, she said that entering politics was never on her agenda but the force of the collective will of the people has made her take the plunge. Nowhere in the post does she talk about her plans for the constituency or about its problems. The appeal is only to the emotions of Ambareesh's legion of fans. Nikhil is just a couple of movies old neither of which failed to set Sandalwood, aka Kannada film industry, on fire. 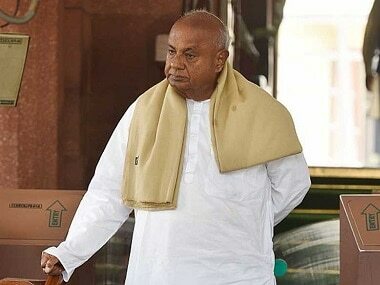 He is the latest in a long list of HD Deve Gowda's family members who have taken to politics. The former prime minister, soon to turn 87, wants to have another go in next month's elections. 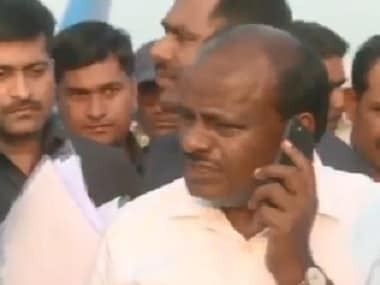 His one son (HD Kumaraswamy) is the chief minister and another (HD Revanna) a state cabinet minister. The chief minister's wife is an MLA while Revanna's wife is a Zilla Parishad president. And like Nikhil, Revanna's son Prajwal is contesting from the Hassan Lok Sabha constituency. It is disappointing that the voters will have to choose between two greenhorns for this important Lok Sabha seat. Mandya plays an important role in Karnataka politics. Located at the heart of the Cauvery basin in Karnataka, the town has been at the centre of the state's century-old river water sharing dispute with Tamil Nadu. Ambareesh who was Minister of State for Information and Broadcasting in Manmohan Singh's council of ministers from 2006 to 2007, had resigned from the post after a Cauvery Water Disputes Tribunal ruling went against the interests of the state. The heartland of the Vokkaliga community, the district has witnessed many farmers' movements as well. Although agriculturally rich, agrarian distress has been a feature in the district which saw over 200 farmers committing suicide between 2015 and 2016. The inability of farmers to pay off loans due to crop losses, the benefit of the loan waiver scheme eluding many a farmer because of poor implementation, and deficiencies in water management are among pressing issues that need redressal in the constituency. Even if it can be argued that the responsibility of the MP, as opposed to that of an MLA in addressing local issues that may have more to do with the state government, is limited, such distinctions get blurred in times of crises. The distressed citizen will look to whoever offers them hope. Are Sumalatha and Nikhil, one of whom may make it to the 17th Lok Sabha, up to the task? The Deve Gowda family is pulling out all stops to ensure Nikhil’s victory. Deve Gowda himself came down to Mandya to introduce his grandson to the voters as he did with his other grandson in Hassan. 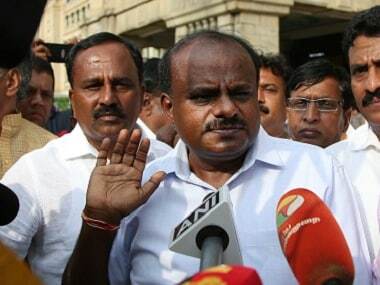 Far from being apologetic about making the JD(S) a family affair, Deve Gowda told a public meeting that Nikhil has been wanting to lighten the workload of his father Kumaraswamy who has had an open heart surgery a couple of years back. Deve Gowda and his sons realise that it is not easy for Nikhil to score over Sumalatha, given the sympathy generated in her favour. They first tried to discredit her saying she’s an outsider (from Andhra Pradesh). And then Deve Gowda’s elder son Revanna earned an all-around condemnation for questioning Sumalatha’s entry into politics just a few months after her husband died. 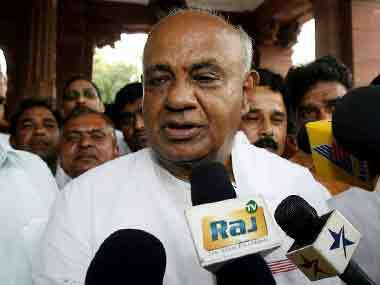 The desperation of the Deve Gowda clan to retain its hold over Mandya is understandable. The JD(S) is not much of a force outside the Old Mysore region, which includes Mandya. In any case, the outgoing MP from the constituency belonged to the party. Sumalatha had sought a Congress ticket but party leaders expressed their helplessness saying the seat belonged to its alliance partner. In the seat-sharing arrangement, the Congress is contesting 20 seats and the JD(S) eight. With two members from the film fraternity, both first-timers in politics, vying for the seat, how much importance will issues that matter get during the run-up to polling remains to be seen. There is already the danger of the campaign being hijacked by film stars who are making a beeline to Mandya to canvass for Sumalatha. In fact, when she made the announcement about her contesting as an Independent candidate, she was flanked by two big stars of Sandalwood. Ironically, it was left to an actor (Chetan) and a social activist to bluntly call out the "dangerous trend" of "star-based politics as prime determinant in the electoral process". In a series of tweets, Chetan said the emphasis on stars' popularity to win rather than grassroots work, adds to inequality and ignorance, and that media and voters must distinguish "reel from the real lest we fall further behind". About Sumalatha, he asked: "Do service, anti-corruption or ideology factor into her (Sumalatha) election equation at all? Does anyone know what Sumalatha stands for/against?" He didn’t spare Nikhil either: "Nikhil, beneficiary of dynastic politics — a plague of so many — is unfit to be an MP from anywhere let alone Mandya (sic)."